Harry Taylor was born in Bolton on 1 July 1889. He was the son of Henry and Ann Taylor of 13 Roseberry Street, Daubhill. His Father, Henry Taylor, was a House Painter who had died by 1911. Harry attended Bolton Church Institute from 10 September 1901. All his elder brothers and sisters worked in cotton mills. Harry trained as a teacher at Westminster College, London. He appears on the 1911 Census as an assistant schoolmaster employed by Lancashire County Council. Harry married Mary E Horrocks at Westhoughton Congregationalist Chapel in 1915. Their only son, Harry H D Taylor was born in 1916. Harry enlisted as Private 6350 in the 19th Royal Fusiliers (2nd Public Schools) in February 1915. He arrived in France on 14 November that year with the 33rd Division, which contained many similar battalions of “Pals”, public schoolboys and sportsmen. The battalion returned to England in April 1916 and many of the men were commissioned as officers. Harry himself became a lieutenant in the 26th Battalion, The Manchester Regiment on 6 July 1916 and went back to France later in the year. He was killed on 12 October 1916, while attached to the 18th Battalion, part of the 90th Brigade and the 30th Division. His death came during the unsuccessful assault on German trench lines in front of Le Transloy, part of the long Battle of the Somme. Harry's name appears on Westhoughton War Memorial. Official intimation has been received by Mrs. Taylor, of 46, Bolton-rd., Westhoughton, that her husband, Second-Lieut. HY. TAYLOR, was killed in action on Oct. 12th. 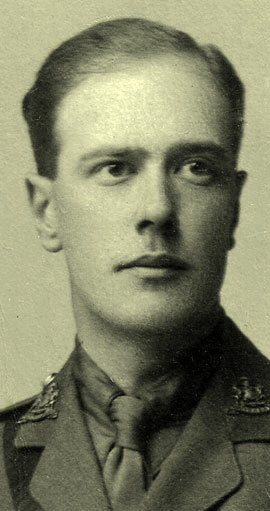 Second-Lieut. Taylor was 26 years of age. He joined the Royal Fusiliers in February, 1915, and was sent to France in October of the same year. He came back to England in April last, and obtained his commission two months ago, when he was posted to the Manchesters, with whom he recently went to France, and must have been killed the first day he went into the firing trenches. Previous to enlisting the young officer was a teacher at Cadishead Council School. He received his scholastic training at Westminster College, London, and when in Westhoughton attended the Congregational Church. He leaves a wife and one child. The information below has been supplied by Neil Drum and Pete Thomas, authors of 'A District at War', which tells the story of Irlam and Cadishead's involvement in WW1. Harry is commemorated on the Westhoughton War Memorial and also the Irlam and Cadishead War Memorial in Prince's Park, Irlam. Second Lieutenant Harry Taylor served with the 18th (Service) Battalion (3rd City), The Manchester Regiment, 90th Brigade, 30th Division. He was born in Bolton on 1st July 1889, the son of Henry and Anne Taylor of 13 Roseberry Street, Bolton. His father worked as a contractor and decorator. He had four older sisters who were all employed as cotton weavers: Ethelinda (born c. 1878), Mary (c. 1881), Florence (c. 1883) and Annie (c. 1885) a younger brother, Stanley (c. 1892) and a younger sister, Olive (c. 1894). Harry resided with his parents up to joining the Army and also lodged with Peter Ashton of Beechfield, Fir Street, Cadishead. He was educated at Westminster Training College, London. He was employed as the assistant schoolmaster at the Cadishead Council School for over 10 years and also taught two evening classes per week. He enlisted on 13th February 1915 at Manchester into the 19th (Service) Battalion (2nd Public Schools) of the Royal Fusiliers as Private 6350. His service record states that he enlisted at the age of 25 years 7 months and described him as 5 foot 8 ¾ inches tall. On 7th May 1915 he married Mary Elizabeth Horrocks (born 18th July 1890) at Bethel Chapel, Park Road, Westhoughton, Bolton. They went on to reside at 46 Bolton Road, Westhoughton. Harry served a total of 274 days in England, between 13th February and 13th November 1915. On 14th November, he sailed with his battalion to France. The 19th Royal Fusiliers were part of 98th Brigade, 33rd Division. He served on the Western Front with this unit until 22nd March 1916 (a total of 129 days). On 23rd March 1916 he arrived back in England and the next day was posted to No. 1 Officer Training Battalion at Denham. On 5th April 1916 Harry and Mary’s only child was born in Bolton. He was named Harry Horrocks Denham Taylor (note the significance of the middle name). On 6th July 1916 Harry was discharged from the Royal Fusiliers, with whom he had served 1 year and 145 days, and was granted a commission as Second Lieutenant with the 26th (Reserve) Battalion of the Manchester Regiment. In August 1916 he returned to France and was posted to the 18th Manchesters. On 12th October the 18th Manchesters, in company with the 2nd Royal Scots Fusiliers and the 89th Brigade, attacked an enemy strongpoint south of the village of Ligny Thilloy (located on hills to the west of Bapaume). The enemy facing the attacking British were German Marines. At zero hour (2pm), after an ineffective barrage, the 350 Manchesters went over the top, leaving their trenches to cover the 300 yards to the German frontline. The Germans swept the British with heavy machine-gun fire and this, together with a fierce enemy counter-barrage, cost the Manchesters dearly with 250 men being killed, wounded or missing. Second Lieutenant Harry Taylor was one of those killed in action during this attack. He was 26 years old. Harry’s death was a great shock to his young wife and his many friends in Cadishead, where he was held in great respect by present and old scholars and staff at Cadishead Council School. He was well known throughout the district and a great favourite of the children. During the war his visits to the school and also letters from the front were always great events for the boys in particular. His photograph was placed in the school as a memorial. Mr R.B. Toft, chairman of the Education Committee at the time of Harry Taylor’s appointment to the school, and an old friend, said that he was ‘a most successful teacher and was respected, almost loved, by the scholars under his care.’ Mr Toft stated that Harry had been sent to the old Wesleyan School in response to a request which was forwarded to Dr Rigg that he should send the best student from the college. Harry served under the late Mr E. Burgess and later on under the headmaster, Mr R. Sowerbutts, who added that Harry was a conscientious and painstaking teacher. A number of old scholars attended the ceremony and were each presented with a photograph of Harry. He is commemorated on the Thiepval Memorial, Somme, France.